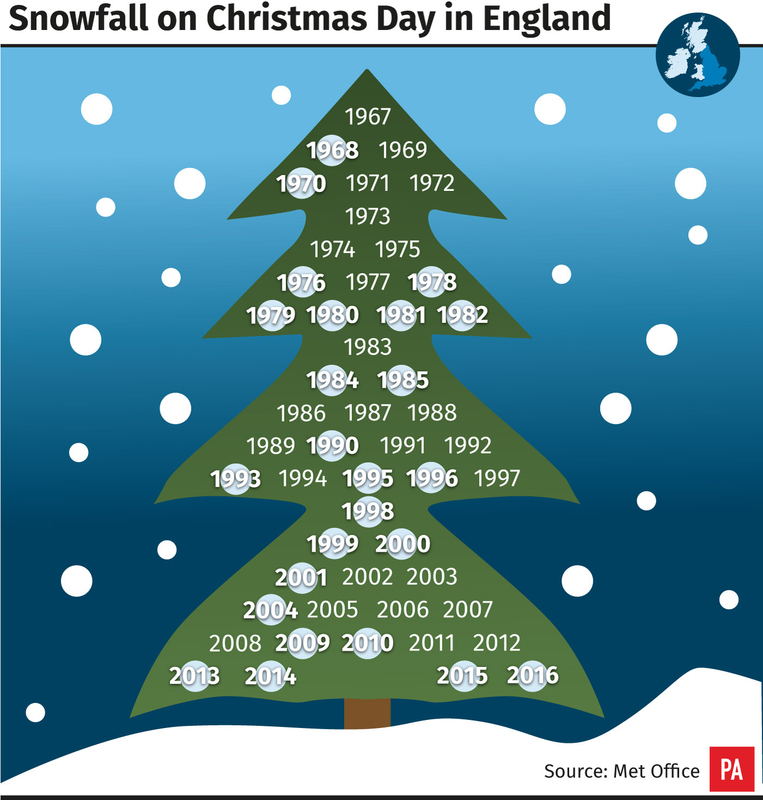 Exactly how many times has there been a white Christmas in the UK? Christmas Day is approaching and some of us are probably dreaming of a white Christmas. But those looking for snow-laden driveways and fluffy-white treetops might be a bit disappointed. According to the Met Office, there is a possibility of snow in the northern parts of Scotland – but that’s about it. Nicola Maxey, a spokeswoman for the Met Office, said: “We’ve got a cold front coming in from Northern Ireland and northern Scotland which is bringing some rain. “The temperatures are quite cold there so there is a possibility that some of the rain may fall as snow. The Met Office defines a white Christmas as “one snowflake to be observed falling in the 24 hours of 25 December somewhere in the UK”, although the weather forecasters compiled their data on individual countries from their stations across England, Wales, Northern Ireland and Scotland. That means those living in England have experienced a white Christmas at least 25 times since 1967 – although people may not have seen a single snowflake in some of those years. 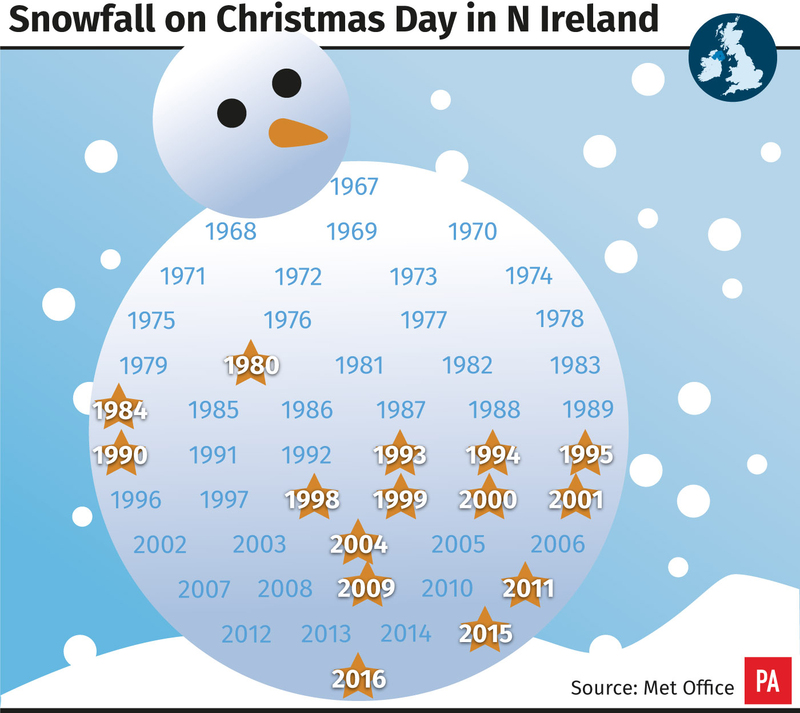 Northern Ireland, meanwhile, has experienced 15 white Christmases in the last 50 years. 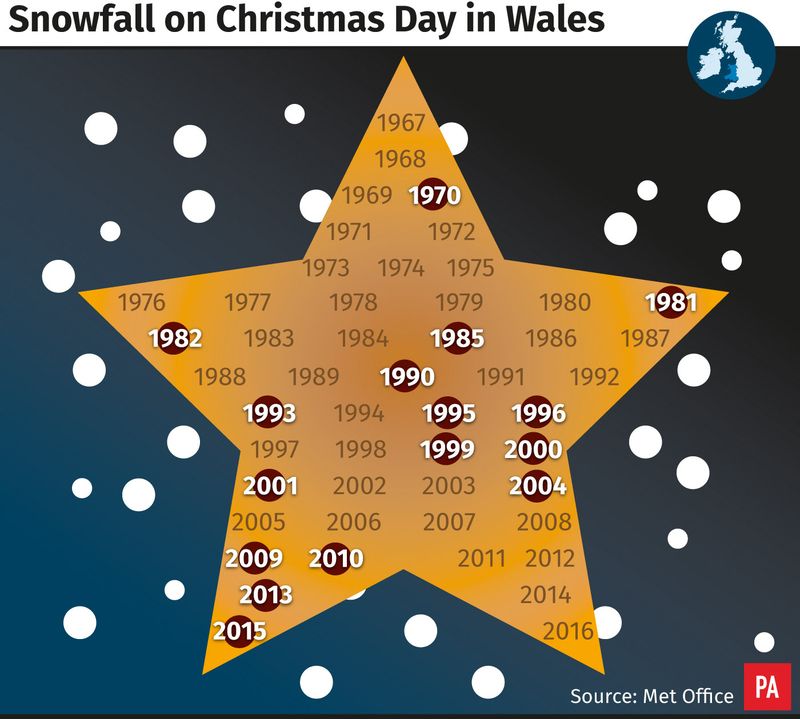 Wales, on the other hand, has had 16 white Christmases. 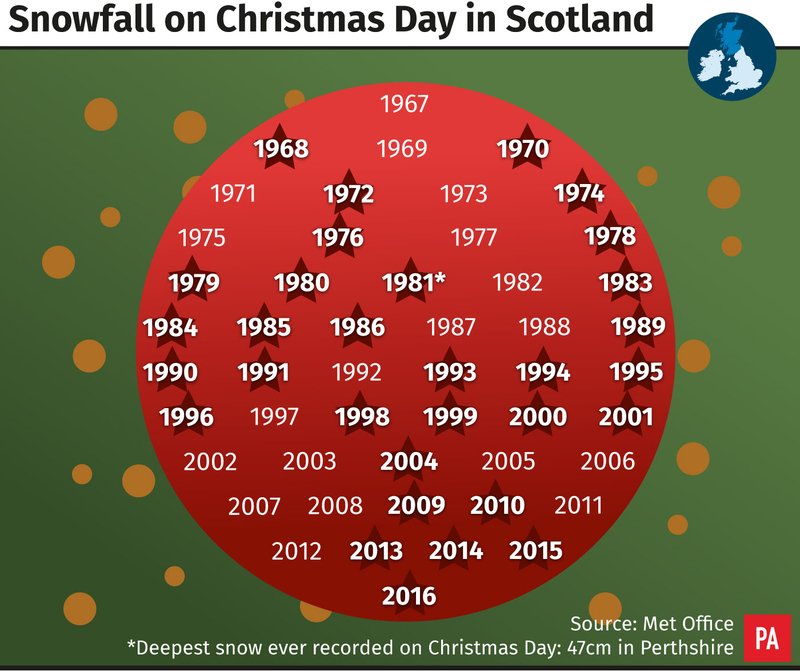 And topping the list is Scotland, with 31 white Christmas and 47 inches of snow recorded in Perthshire in 1981 – the deepest ever recorded on Christmas Day. In the past, the Met Office used a single location to define a white Christmas – which was the Met Office building in London – but decided to change the definition. It said: “With the increase in betting on where will see a white Christmas, the number of locations have increased and can now include sites such as Buckingham Palace, Belfast (Aldergrove Airport), Aberdeen (Pittodrie – Aberdeen FC), Edinburgh (Castle), Coronation Street in Manchester and the Millennium Stadium in Cardiff. According to the weather forecasters, the last widespread white Christmas in the UK was in 2010. They also said that 2015 was also “technically a white Christmas” in the UK with 10% of weather stations recording snow falling. However, no-one reported any snow lying on the ground.